The Mayflower is one of the most important ships in American history. This cargo ship brought the pilgrims to Massachusetts during the Great Puritan Migration in the 17th century. These pilgrims were some of the first settlers to America after they established the Plymouth colony. This journey made the Mayflower an icon of European colonization. The captain of the Mayflower was a businessman named Christopher Jones. Jones was born in Harwich, England around 1570 and was the son of a mariner and ship owner, also named Christopher Jones. Around 1608, Jones purchased the Mayflower and became its Master, what we would call a captain today, but he was only a quarter owner of the ship. The other owners were Robert Childe, Thomas Short and Christopher Nichols. The Mayflower was a European cargo ship in the years before its voyage to the New World with the pilgrims. Jones’ first voyage on the Mayflower was to Norway in 1609 where the ship transported fish, lumber and tar. The ship began leaking during a storm on the way back to England and the crew had to dump some of its cargo overboard to save it. In May of 1620, religious separatists known as pilgrims hired Jones and his ship to take them to the mouth of the Hudson River in North America where they had been granted permission to build a colony. The Mayflower set sail from England along with another ship, the Speedwell, on August 15, 1620. The Speedwell leaked so badly that both ships had to return to England. A few weeks later, the pilgrims all boarded the Mayflower and it set sail alone from Plymouth, England on September 16, 1620. Although the Mayflower was a large ship measuring about 80 feet in length and 24 feet wide, the 102 passengers on board led to cramped conditions. The Mayflower had three decks, an upper deck, a gun deck below it and the cargo hold at the bottom. The pilgrims lived on the gun deck, which was about 5 1/2 feet in height, and would sometimes venture upstairs to the upper deck during calm weather. The 37 crew members and the captain lived in cabins at the back of the upper deck. Only a few of the crew’s names were recorded but they included a cooper named John Alden, ship surgeon Giles Heale and Pilots and Master’s Mates John Clarke and Robert Coppin. The Mayflower passengers included William Bradford, who later became governor of Plymouth plantation and wrote a detailed book about the journey to America on the Mayflower and Plymouth Plantation titled Of Plymouth Plantation. The first half of the voyage was smooth with sunny skies and fair weather. The passengers were healthy and there were even three pregnant women on board. One of the women, Elizabeth Hopkins, gave birth on the Mayflower to a son that she named Oceanus. About halfway into the journey, the Mayflower ran into bad weather. A series of storms caused the ship to leak and the main mast to crack. The pilgrims worried the ship would not be strong enough to make it America. The crew managed to fix the beam and fill some of the leaks. The constant cold and dampness on board began to take a toll on the pilgrim’s health. By the time the pilgrims reached America many of them became ill and one young boy, William Butten, an indentured servant to Samuel Fuller, died just a few days before reaching land. When & Where Did the Mayflower Land? 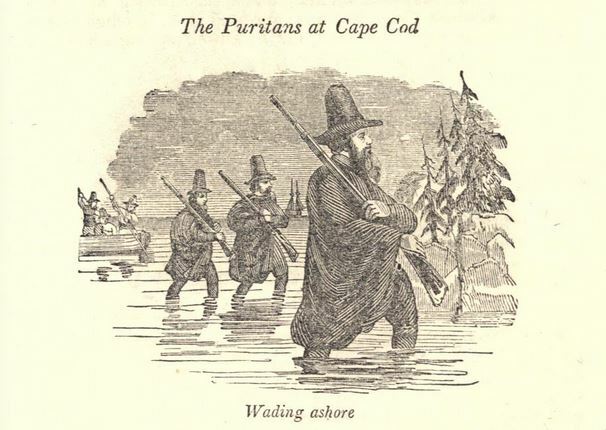 The passengers sighted shore on November 9. Although the pilgrims had intended to land in northern Virginia, when they reached the shore they realized they were in New England. With winter approaching and a short supply of food and beer, they decided to go no further and dropped anchor off the coast of Cape Cod in Provincetown harbor. While the ship was anchored in the harbor, the passengers drew up a social contract known as the Mayflower Compact that established a set of rules and laws for the colony. In December, after some skirmishes on land with the local natives, the pilgrims decided to pick up anchor and sail to nearby Plymouth harbor where they reportedly landed near Plymouth rock in mid-December. What Happened to the Mayflower? The Mayflower crew spent the winter with the pilgrims in Massachusetts, living on the ship, and sailed back to England on April 5, 1621 and arrived on May 6, 1621. Christopher Jones passed away the following year, on March 5, 1622, and his widow, Josian, inherited the Mayflower. 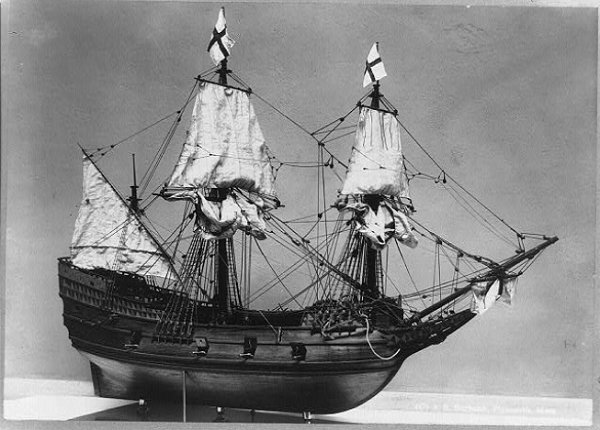 In May of 1624, the ship was appraised for the purpose of probate and was described by the appraisers as being “in ruinis.” As a result, it is believed that the Mayflower was eventually broken up and sold off as scrap. 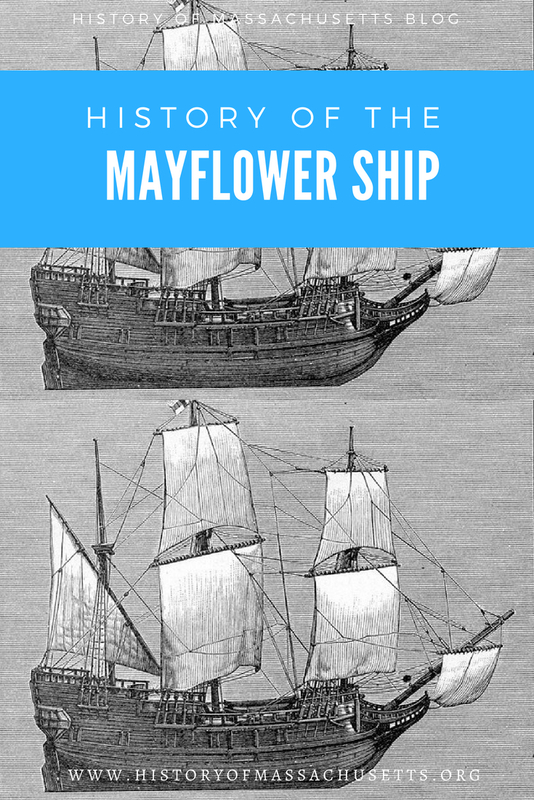 To learn more about the Mayflower, check out the following article about the best books about the Mayflower and the pilgrims. Philbrick, Nathaniel. Mayflower: A Story of Courage, Community and War. Penguin Group, 2006. Tim I too am a descendant of the Robert Childe family. I am always looking for family history stories, names, etc. I am new so can you tell me what I so do please? Just found out my daughter is 99%+ Irish, directly related to Mayflower Captain. She had complete DNA, name tracking, marriage cents, birth records. I am decended from John Clarke, 1st mate of the Mayflower. I have not been able to find out much about him, except for my studies of my ancestry. Would you be able to recommend any other sources of information? Also, would I be able to join the Mayflower Society since my ancestor was just part of the crew? Hi Judith, as far as I know anyone who came over on the Mayflower, whether they were a part of the crew or one of the pilgrims, is eligible to join the Mayflower Society. I’m not sure where you can find more info specifically about John Clarke except for the Mayflower Society itself and perhaps the New England Historic Genealogical Society. There’s also a ton of great books on the pilgrims and the Mayflower, such as as Nathaniel Philbrick’s book Mayflower and Bradford and Winslow’s firsthand accounts but I don’t know how much info they reveal about Clarke specifically. 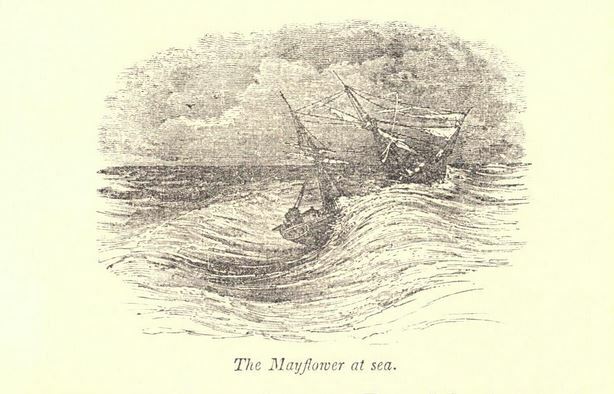 I really liked this page about the Mayflower. It’s really good, and I really loved it. I just love it when the Pilgrims are sailing on the Mayflower. It is a great artical about the Mayflower. Glad I found the article as I am a descendant of William Bradford. Always enjoy any info on my ancestors. Hi Amanda, glad I could help! I am from the descendants that was one of the passengers of the Mayflower. But I found out that he did lots of terrible stuff after landing in America. Lots of illegal stuff. Amanda, could you try to make a site (probably on this site) of all the passengers if you can? Lots of people are asking for info on their ancestors, so am I. I don’t know my ancestor’s name. We were informed several years ago that the Corp family was traced back to the mayflower by the Town of Stillwater NY historian. Unfortunately she is now deceased. My great grandmother was Mabel Smith and is at rest in the St. Clements cemetery. I was looking for a passenger list of the mayflower if one exists? I don’t have a list myself but I plan on writing one now, so thank you for the suggestion. Meanwhile, I do have a partial list will all of the male passengers in my Mayflower Compact article, which there is a link to in this article. Also, in my History of the First Thanksgiving article I have a list of all of the surviving pilgrims at the First Thanksgiving. Hope that helps. I have long been interested in Edward Lyster/Leyster/Leicester who was a servant on board. He fought a duel and at sometime left for Virginia where he supposedly had relatives. A man by this name is listed as among the ones killed in 1622 in the Indian uprising in Virginia, but I do not see how he could have gotten there in time for that. I don’t believe I’m related to any mayflower people but the replica ship currently under construction is at the bottom of my garden here in Harwich Essex. It will be sailed over to Mass. in 2020. I’m coming over to Boston on 6/12/17 and hope to see anything relating to our towns and the Mayflower and it’s people. Looking forward to seeing whatever is related, I understand that this ship is very important in American history. As a descendant of William Bradford, currently working on a project about Nathaniel Saltonstall at the time of the Salem Witch Trials, I am trying to ascertain is any descendants of Bradford were at all involved with the the Witch Trials in any way. This is second time I read :”The History of the Mayflower”and I will come back many times more,because I’m a boat people,a Vietnamese communist’victim.I wrote my memory about re- education camp,about the tears,the sea water and the Vietnamese boat people.I pay attention so much the journey of the Mayflower.I would like to learn more this History I’ll write for my grand children,my great grand children and next their generation…We thank so much American peoples,special Mrs. Judy Manella,social worker at Saint Paul in Minnesota. The Mayflower have 102 peoples in 1620,two more years enough four hundred years,four centurys.Right now,many many generations,they estimate over 35 million peoples,that’s correct ? Happy 396th Thankgiving for everybody. Hi Si Au Ma, thank you so much for your comment. I’m so glad you enjoyed the article. I’m also so glad that you’re writing about the history of your people in Vietnam for future generations because that’s exactly how history lives on. It’s because of people like you telling their story and sharing it with others that we even know about the Mayflower and the early history of America. Keep up the good work! My son and I are trying to find out how big the anchor on the Mayflower was and are not having any luck. Can you assist or point me in the right direction? Wow that’s a good question. I don’t know if the size of the Mayflower’s anchor has ever been documented but I bet you can estimate its size by looking up the anchors on similarly-sized cargo ships from that era. I do know that the ship had multiple anchors though, a main anchor and some smaller anchors, as did all ships. I also know that records indicate the ship lost an anchor in 1609 while delivering a shipment of herring in Norway. Replacing it probably wasn’t cheap so perhaps there is a paper trail or a log book somewhere with all the details. I am seeking information regarding person or persons aboard by the name of Swift. It is a direct link to my family via my Mother’s side. Any help would be greatly appreciated. What an interesting story, this is the first time I read about the Mayflower. I am a decentant of Stephen Hopkins – not sure if 1st wife Mary Kent or 2nd Elizabeth. i would appreciate any info at all .